As part of this instalment in Guests’ Corner, I chatted to Wild Wonderful World, led by Michelle and Grant, both passionate travelling conservationists, inspiring change from the ground up in Africa. You might have heard the expression, ‘Not all superheroes wear capes,’ – and when I think of Michelle Campbell and Grant Pengilly – enthusiastic wildlife conservationists who hail from South Africa – that certainly springs to my mind. 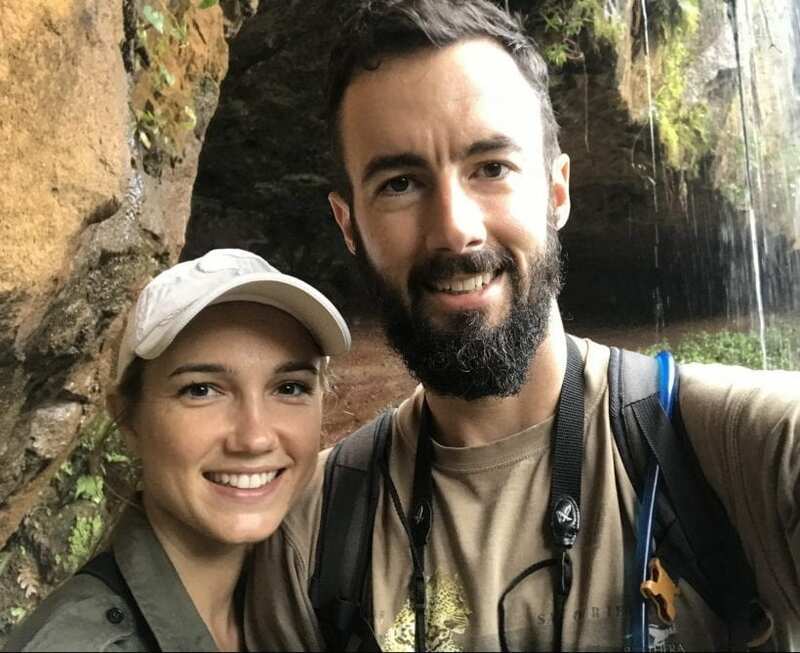 You see, since November 2017, Michelle and Grant have been travelling around Africa, inspiring change, fighting wildlife injustice and educating communities, all while documenting and photographing their journey, experiences and encounters on their beautiful site, Wild Wonderful World. Michelle Campbell: Born in Africa, raised in Asia, schooled in Europe and (has) worked in the Middle East, Michelle is certainly well-versed in travel and experienced in different countries and cultures. But, despite a degree in International Economist and a background in the banking sector, nature called Michelle home to Africa. 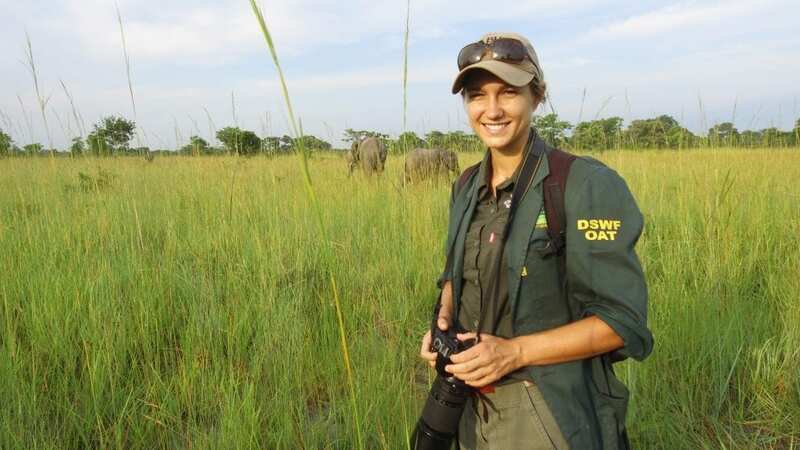 Having worked as a safari guide, Michelle has both the know-how and inner drive to make a meaningful contribution to conservation. Above all else, her aim is to make a difference on the ground and gain a deeper understanding of conservation – and its struggles – in Africa. Grant Pengilly: After completing school, Grant traded the city for a life in the wild, where he started out as a field guide in the Eastern Cape. This was the first of many different wilderness regions that, over the next decade, he would come to know, love and understand. In 2013, Grant realised his childhood dream of learning to fly a helicopter, and began working in game capture and wildlife veterinary work. Among other things, his time in the bush taught him to broaden his fascination with nature, and expand his passion for keeping the wild places wild. Most of all, Grant’s goal is to make an impact in conservation, even as he sets foot in the world’s wild(est) places. Wild Wonderful World has been inspired by many things (including an anti-poaching initiative, Rhino Warriors) – but none less so than by the common values and efforts, which unite Michelle and Grant. In many ways, it was their passion for preserving the planet and its creatures, that saw them launch Wild Wonderful World in mid-2017. Through their site, they hope to share stories, raise funds and make a difference in Africa. 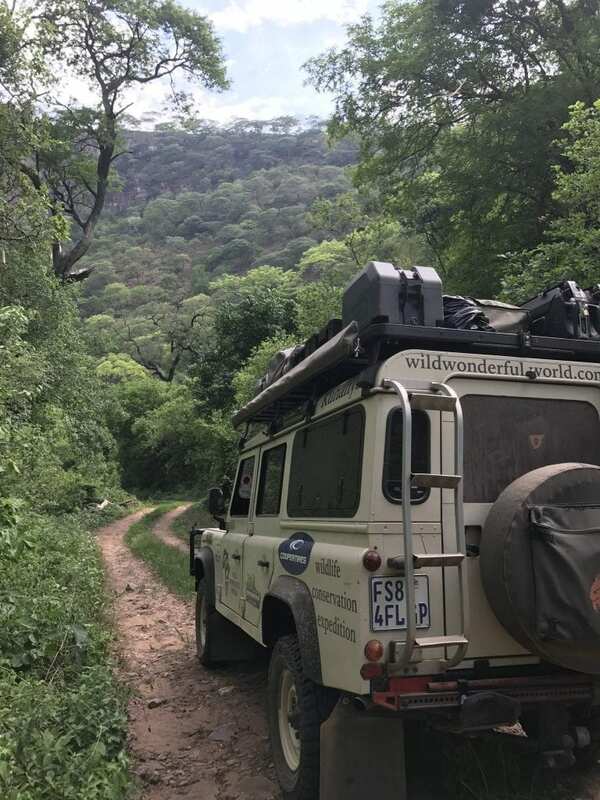 The Wild Wonderful World logo is inspired by the African continent; their Land Rover Defender, Kuhanya (that is, ‘survivor’ in the Shangaan language); the elephant (which represents their work and protection of this species); and the lion track, which lastly representing their expedition, tracks left behind and their combined efforts to learn more about African conservation. In November 2017, leaving their jobs behind, Grant and Michelle set off on the road… Their goal? To venture off the beaten track, where they hoped to find wildlife projects, big and small, and to assist ground teams in any way possible. To help contribute to their self-funded expedition and worthy causes, you can visit their GoFundMe page – or site’s Shop, which boasts an incredible, online gallery of their incredible photography work. All photos are purchasable, and can be printed/canvased according to your tastes. And please check out their site’s travel stories – and help teach others about their inspirational work, either through word of mouth and social media platforms! 1. What inspired your conservation journey? Grant: Growing up with the influence of my family – especially my Oupa, who is was honorary Kruger Park Ranger – I learnt the importance of wildlife and conservation, and became passionate about it from a young age. 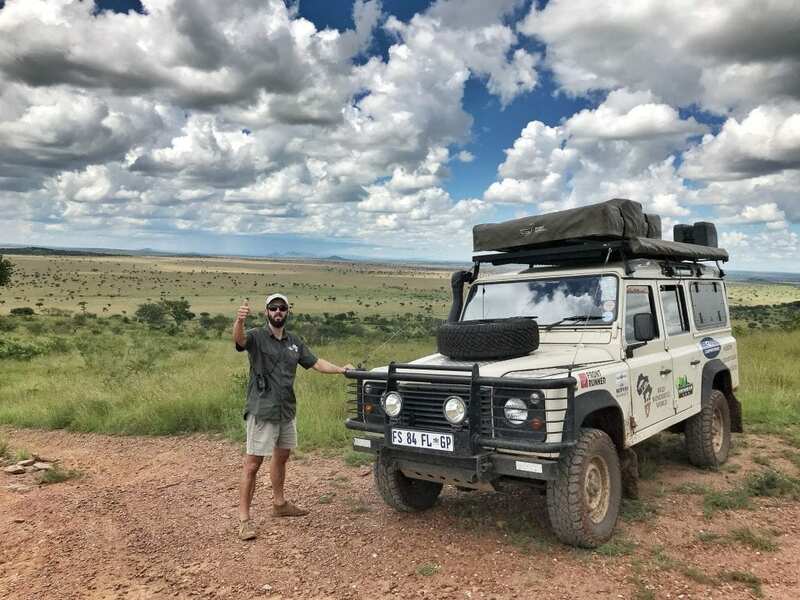 After working in safari lodges in South Africa as a guide for a number of years, I wanted to learn more about wildlife across the continent… Combining a life-long dream of travelling through Africa in a Land Rover and focusing our journey on conservation, is our way of contributing to, and learning about, conservation in the rest of Africa. Michelle: A lot of my love for the bush and Africa also came from family – particularly my father, who grew up in the wilder parts of Zimbabwe, and who enthralled us as kids with his bush stories. Training as a guide really helped turn my interest in wildlife into a passion – and since then, it has turned into a mission to do anything I can to protect it! 2. When did you first begin this inspirational work? We left South Africa in November 2017; so we have been on the road about 7 months now. 3. What has been the most eye-opening place/town/country that you have visited together since your journey began – and what made it so unique or memorable? But the driving etiquette, lack of conventional supermarkets (most fresh produce, including meat, is bought in open air markets) – and, most of all the wildlife. We saw so many new species there that we hadn’t seen previously on our journey! 4. What has been your worst or saddest experience (if you feel comfortable sharing)? 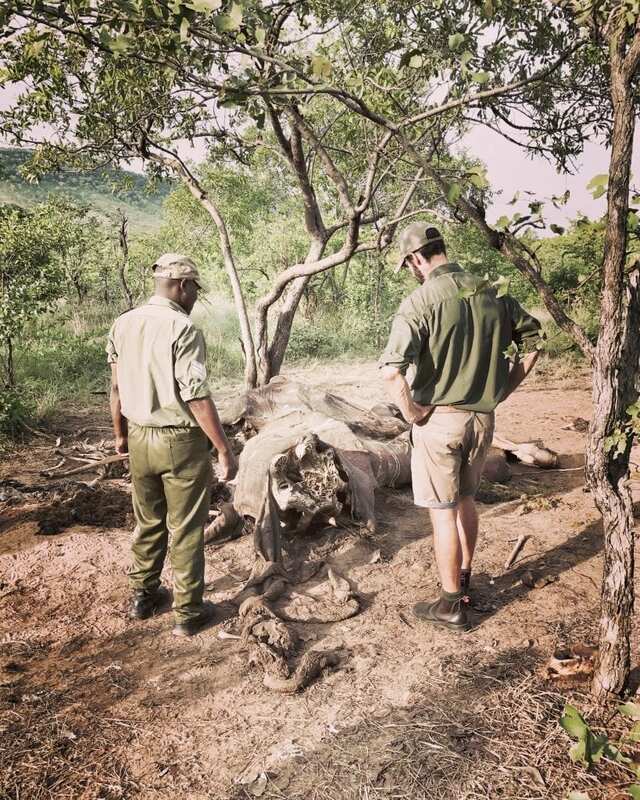 Seeing not one, but two, poached elephants in Zimbabwe… It is one thing reading and hearing about ivory poaching – but seeing the devastation with your own two eyes is something we will never forget. Another memory that stands out vividly was when we were visiting the Chipembele Wildlife Education Trust in Zambia. We were interviewing some of their conservation club students, in reference to their applications to go on an upcoming Australia Conservation Exchange, and asked why they wanted to go on the exchange. One little girl, called Fanny Zulu, said she wanted to visit Australia because she has always wanted to see a rhino, and had heard that there are rhinos in Australia… which there are… in zoos. It was so heartbreaking to hear because the area she is from – the South Luangwa Valley – used to have one of the biggest populations of rhino in Africa… but they are extinct today because of poaching. 5. If there is one thing you want to make people aware of about Wild Wonderful World and your efforts, what would it be? I guess our message is that if you feel passionately about something, then do it! It is always easy to find reasons not to do something. Most of the time, it is money! Our biggest emotional hurdle was also funding, and the worry of not having enough to travel to all the countries we wanted to get to… But we drew the line and left South Africa with the few savings we had in our pocket. We have gained so much experience, and learned so much from the places and projects we have managed to visit. Sure, we won’t get everywhere we wanted to – but we are so proud of what we have managed to achieve with what little we had! A very big thank you, of course, goes to our sponsors, who helped us kit up our Landy, as the savings we made there have kept us going on the road. 6. How can people help – particularly those with powerful platforms to reach others or who can provide concrete financial support? Education, education, education! Social media is such a powerful platform to spread the word about conservation – and a huge opportunity for smaller projects to access wider audiences, especially when it comes to funding. Bigger projects tend to be well supported, but there are amazing, lesser known projects off-the-beaten-path that are doing just as much good work, but which struggle day-to-day with funding. Our aim is to spread their messages about conservation – and people can help by sharing the stories of these incredible people (and projects), who fight every day to protect wildlife. We always link to the projects and their donation pages in our blogs, and that really helps direct traffic to their donation pages. 7. Please could you tell us a bit more about the Wild Wonderful World’s shop and how it works? What’s the process? We have a photographic gallery, with some of our favourite wildlife and landscape images. These are for sale. You can select the photograph you like, the size and paper/canvas you prefer… and it gets delivered to your doorstep! Any proceeds we make through that really help support us financially on our expedition. 8. Are there any of your projects from your site in particular that you would like to highlight or tell us about? We have been so lucky to experience so many different projects, each amazing in their own right. From the smallest to the biggest, each with different focuses – but all doing such invaluable work. It would be hard to pinpoint any one in particular because they generally all require support in similar ways. From a personal perspective, we have a huge soft spot for working closely with animals, so, if one stands out so far, it would be the GRI Elephant Orphanage Project in Zambia. We spent time at their nursery and release facility, and it was incredible to see the work they put it to rehabilitating and re-introducing orphaned elephants back into the wild. As wildlife enthusiasts, the most rewarding experience for us has been witnessing the huge variation in landscapes and wildlife, as we have travelled from reserve to reserve… From the Kalahari Desert to the wetlands of Busanga, swamps in Kafue and the great plains of the Serengeti National Park – each new experience has blown our minds! With every country we have gone to, we have seen new animal and bird species – “lifers” – which always gets us super excited! We had to buy a new bird book when we crossed the Zambezi River because, all of a sudden, our book on Southern African Birds was no longer sufficient for the hundreds of new species we were seeing! 10. What have been your three most amazing experiences or memories to date? That was a memory that will always stay with us. We also found a young kudu that had got caught in the boundary fence there. We managed to rescue it and that was a really great feeling! The video of the rescue actually went viral… which was nuts! 2. Flying over the Busanga Plains in Zambia in the helicopter: We were with the Kasonso Aerial Anti-Poaching Unit looking for poaching activity. It was really exciting, and an incredible opportunity to experience the plains from above. 3. Doing an overnight patrol on Lake Kariba in Zimbabwe: We were working with the Bumi Hills Anti-Poaching Unit and Zimbabwe National Army to protect the waters against illegal fishing. Being on the lake all night, with the moon and stars reflecting on the water, was so beautiful… and playing hide-and-seek with the illegal fishermen was kind of exhilarating! 11. Bonus question (optional): Is there anywhere that people can send donations? And what other supplies you might require? As a self-funded expedition, finances are always tight, and a little extra funding really goes such a long way! We have a GoFundMe page, if there is anyone who would like to make a donation. 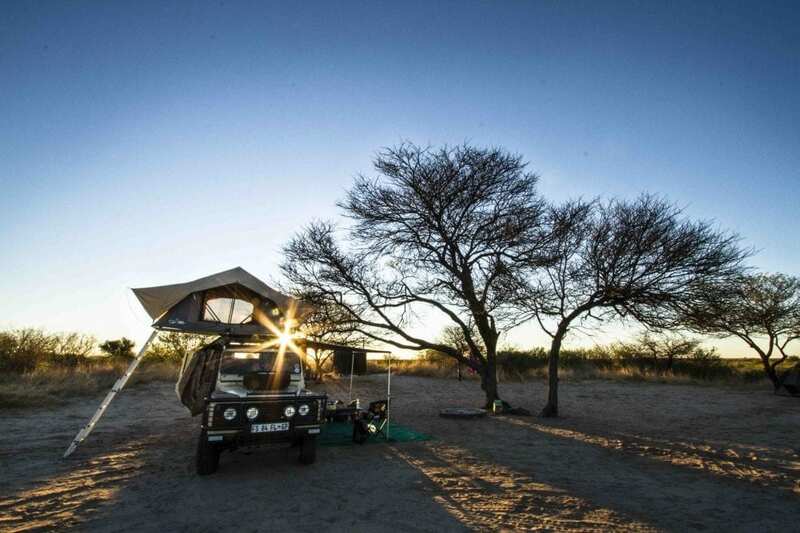 We also rely hugely on our vehicle, camping equipment and being self sufficient – so our expedition ties in with a lot of Overland 4×4 lifestyle products. With regards to our work in the field, we spend a lot of time working to produce attractive material associated with conservation efforts, which they can use to attract support… Our bucket list item in this regard would be a drone, but support in other avenues would be hugely beneficial! To read about and see all of Wild Wonderful World’s life-changing travel stories and experiences, you can visit their amazing site. Or follow them on Facebook, Twitter , YouTube or Instagram. A very special thanks to both Michelle and Grant – not just for taking time out to do this interview – but, above all, for the incredibly selfless, inspirational and wonderful work, which they are doing across Africa. May you both find tender joys, daily safety and life-changing breakthroughs on this journey, as you help to conserve your, and our, Wild Wonderful World.